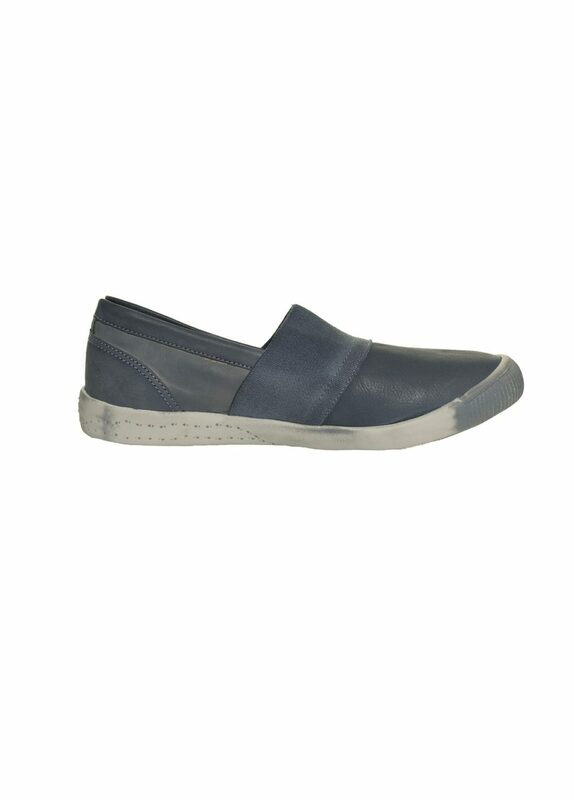 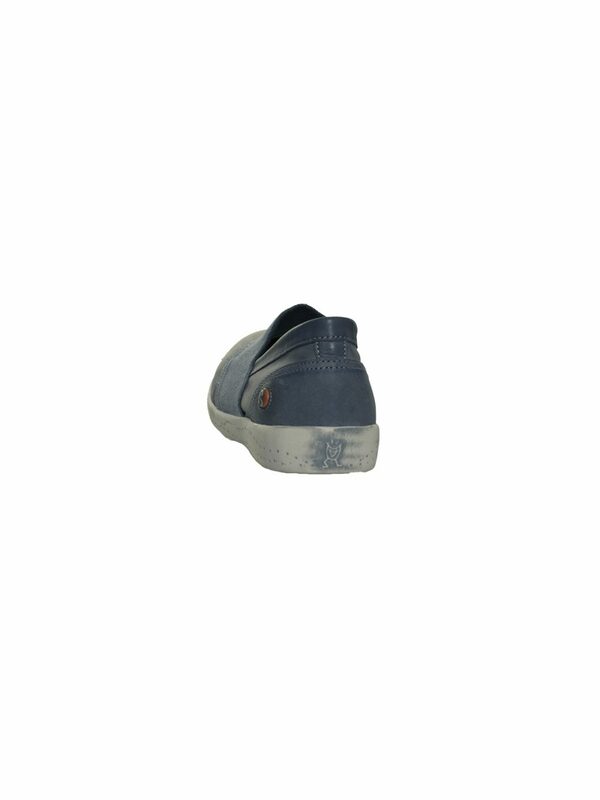 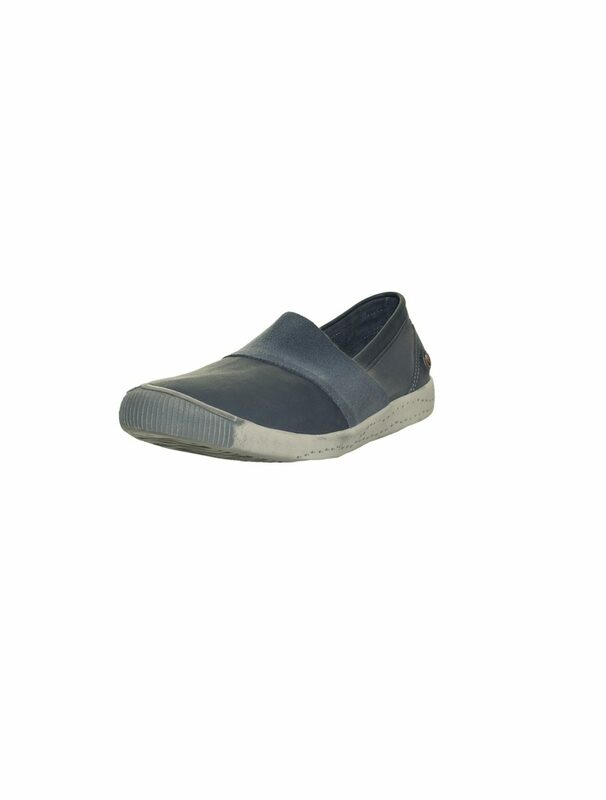 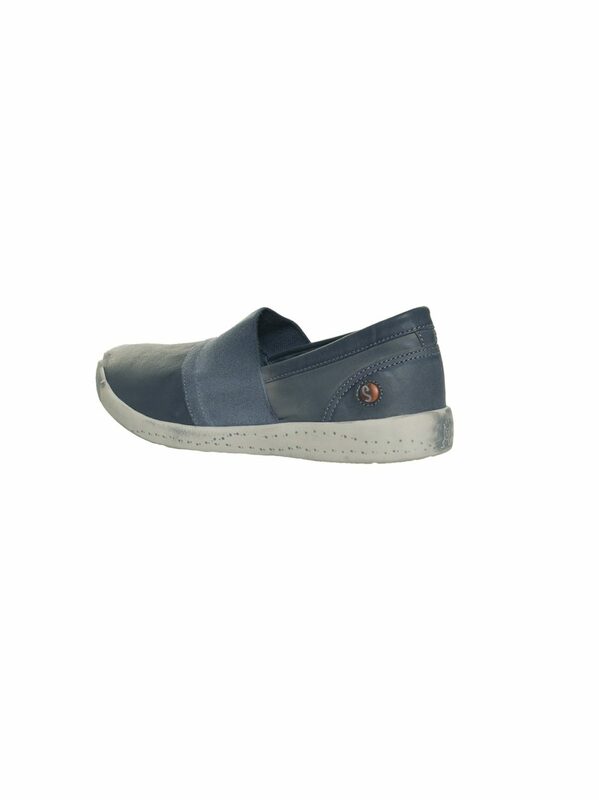 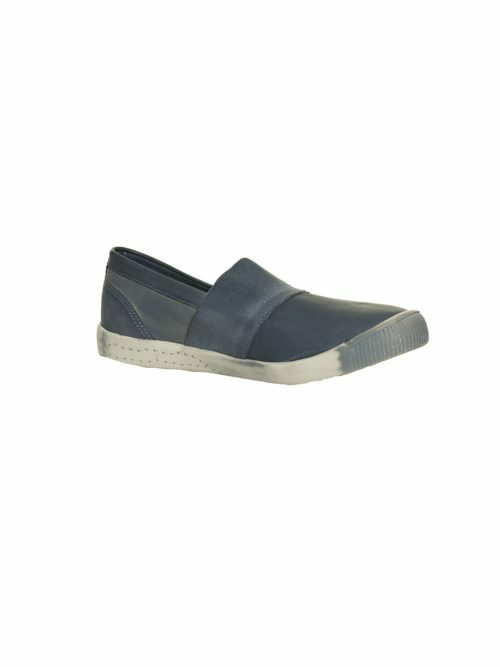 Blue Softino Ino shoe in soft denim blue leather. 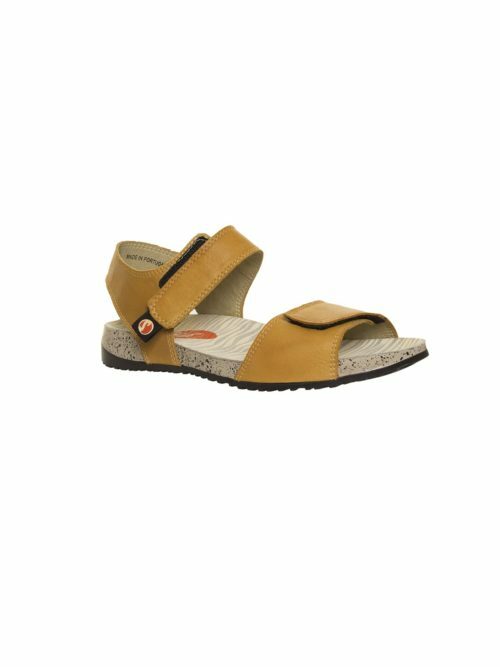 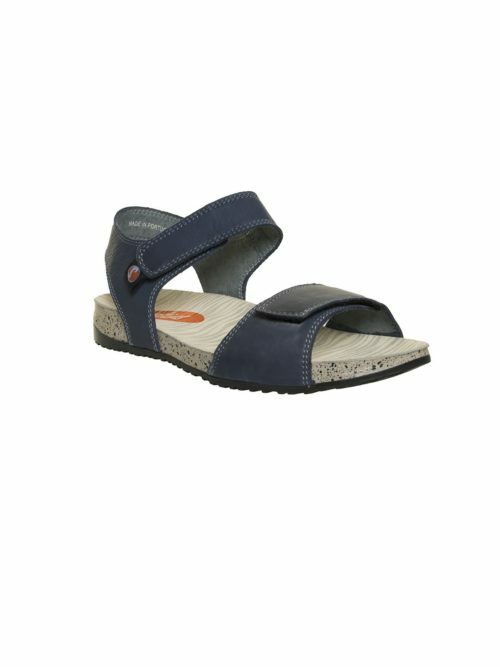 Wide cotton elastic strap over the top of the foot which holds the foot firmly in place. 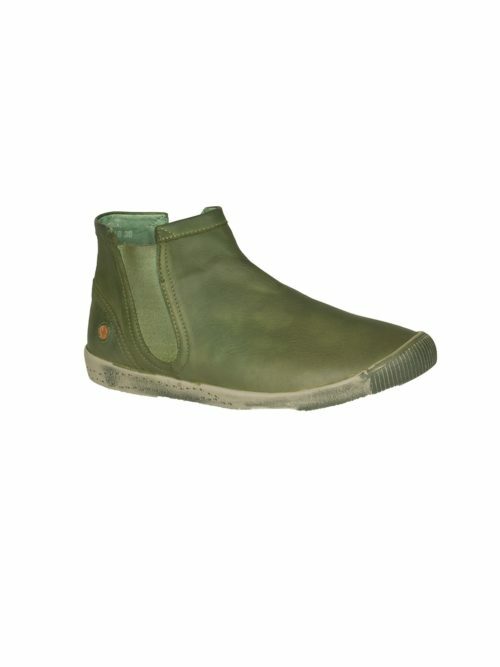 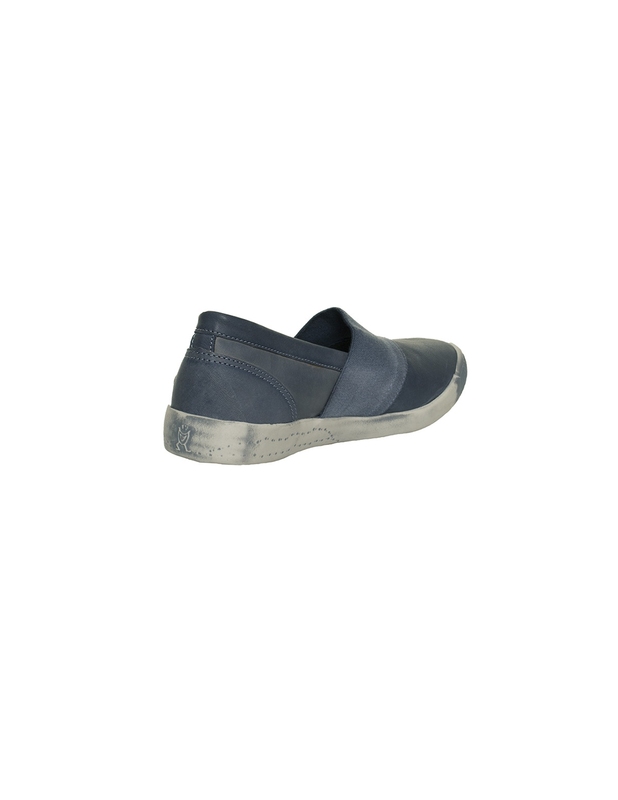 Pale grey flexible rubber sole. 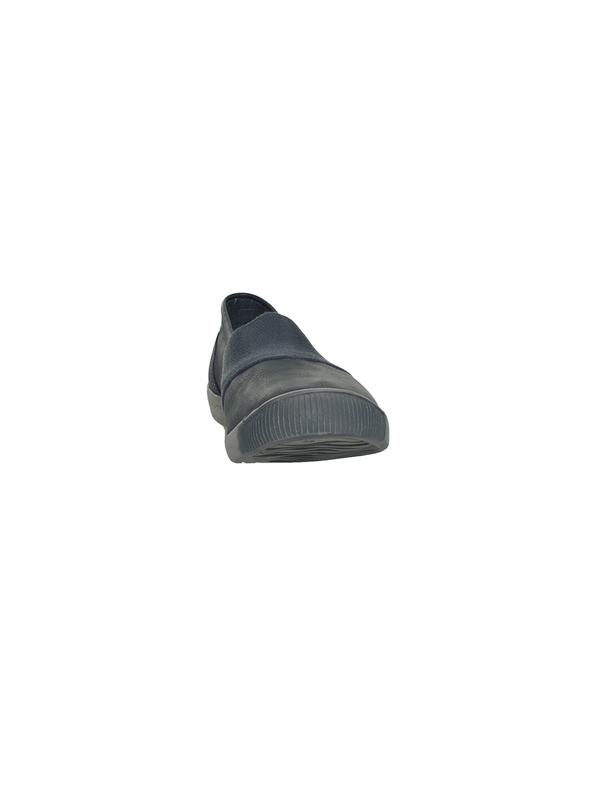 Insole is removable so can be exchanged for customers own. 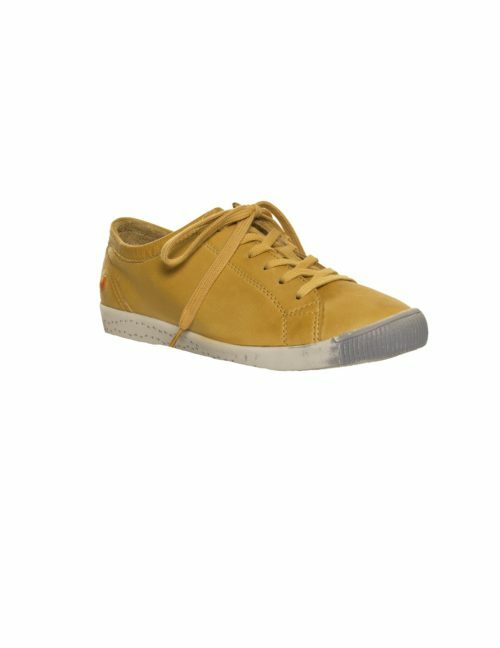 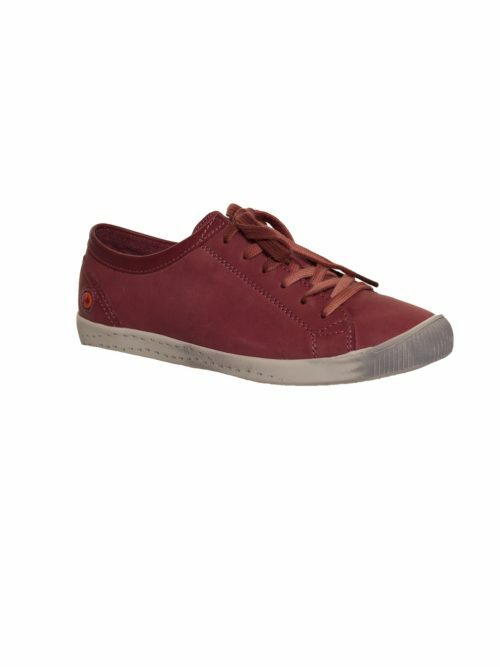 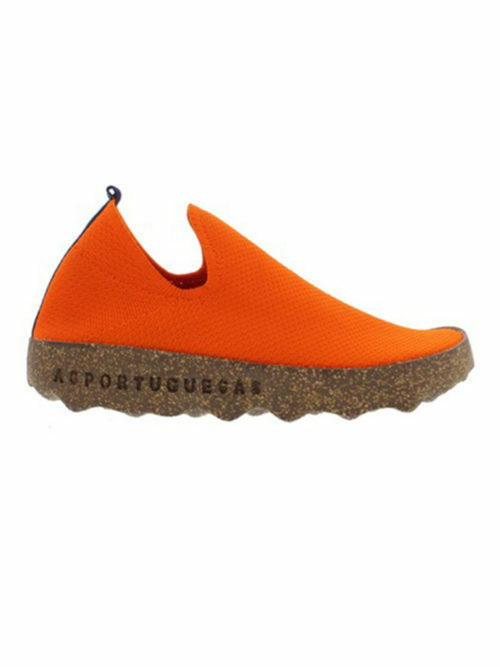 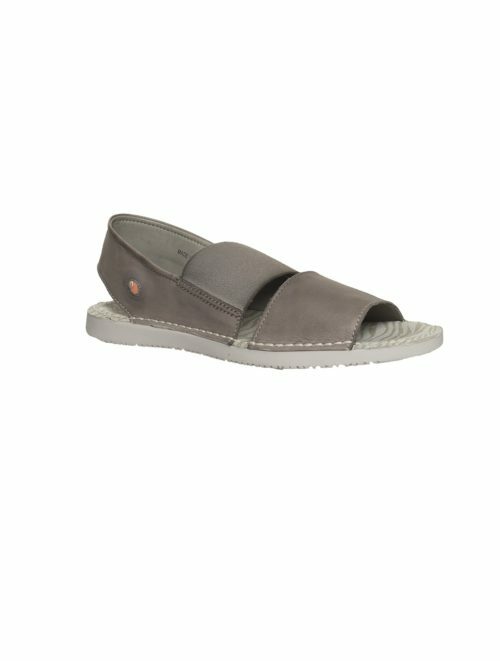 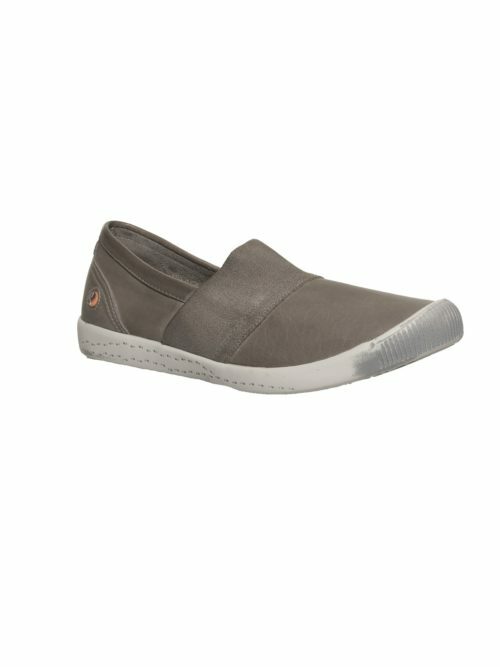 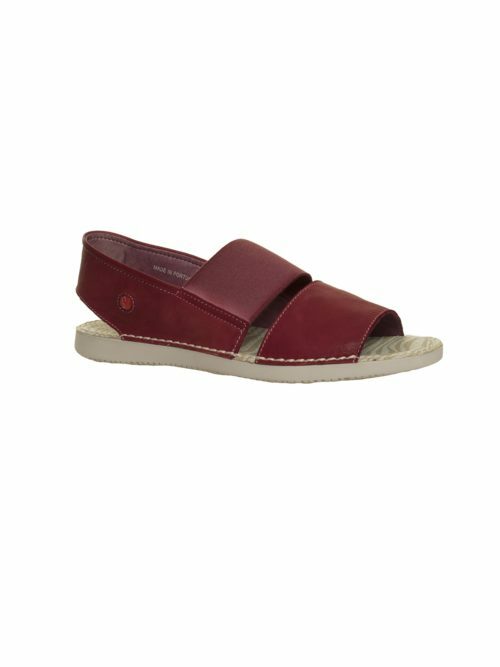 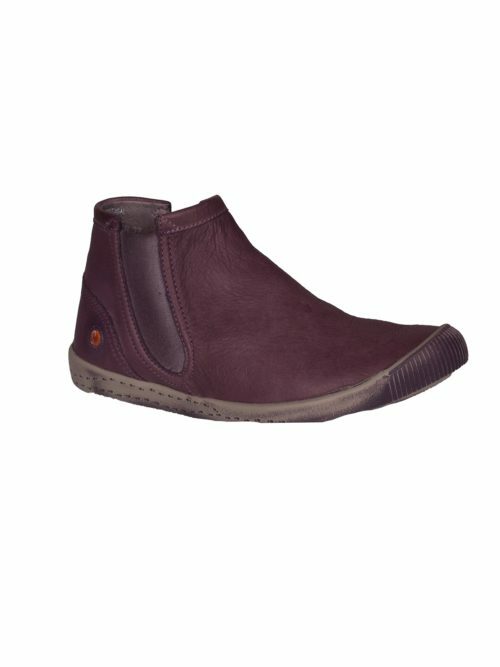 Perfect summer shoe to wear with jeans or dresses, comfortable for long periods.